BRACELET - SARAH COVENTRY. "NOCTURNE" FROM 1972. 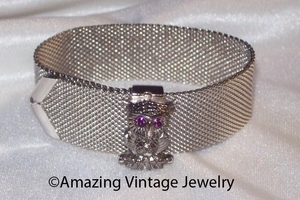 SILVERTONE MESH WITH OWL FEATURING PURPLE RHINESTONE EYES. ADJUSTABLE UP TO 7 1/4" LONG. 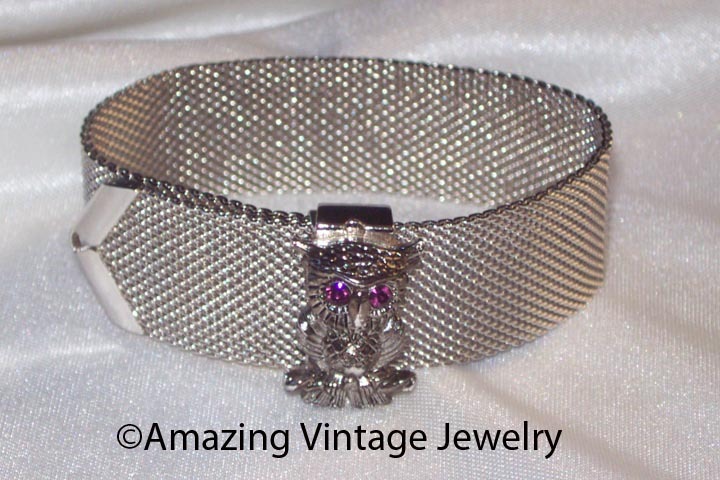 OWL "FLIPS" UP/OPEN TO ADJUST THE LENGTH OF THE BRACELET. VERY GOOD CONDITION.